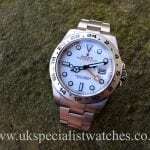 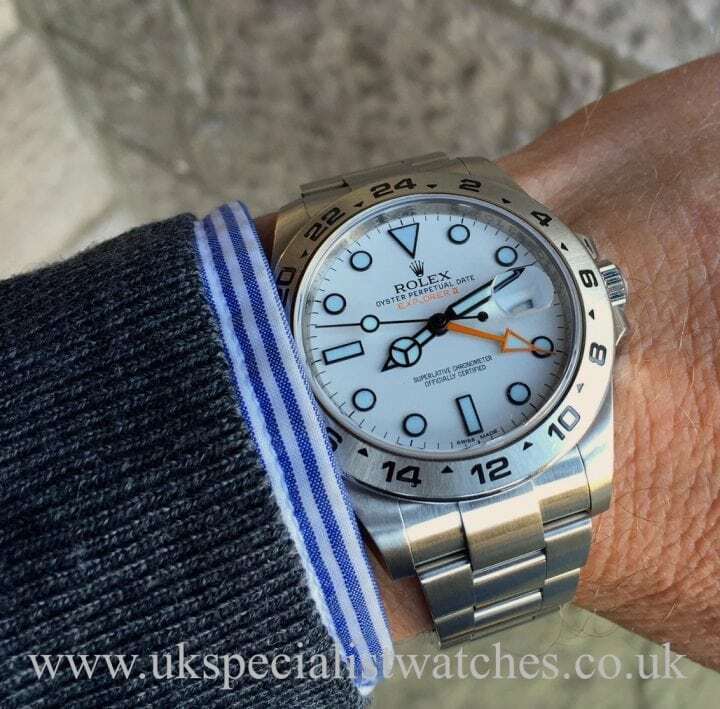 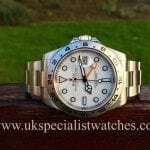 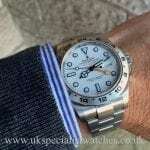 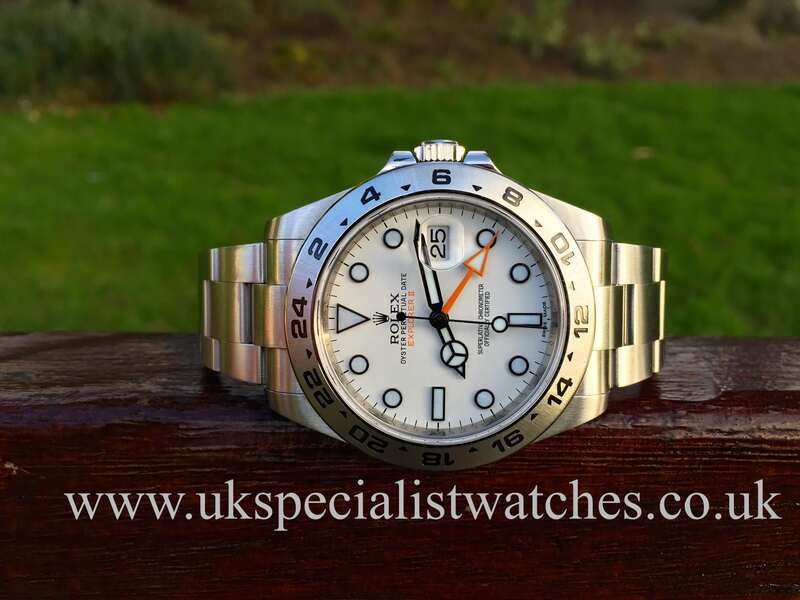 Here we have the latest model Rolex Explorer II with the larger stainless steel 42mm case which certainly gives it a beefier look, crisp white maxi dial with luminous hour markers, date displayed at 3 o’clock and powered by a automatic 31287 movement. 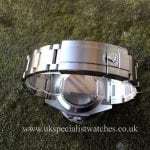 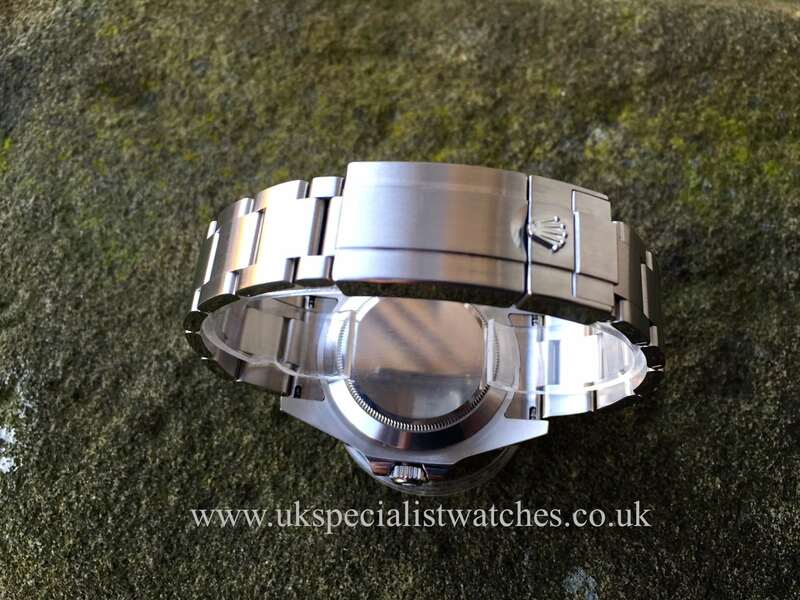 Fitted with the new style stainless steel oyster bracelet. 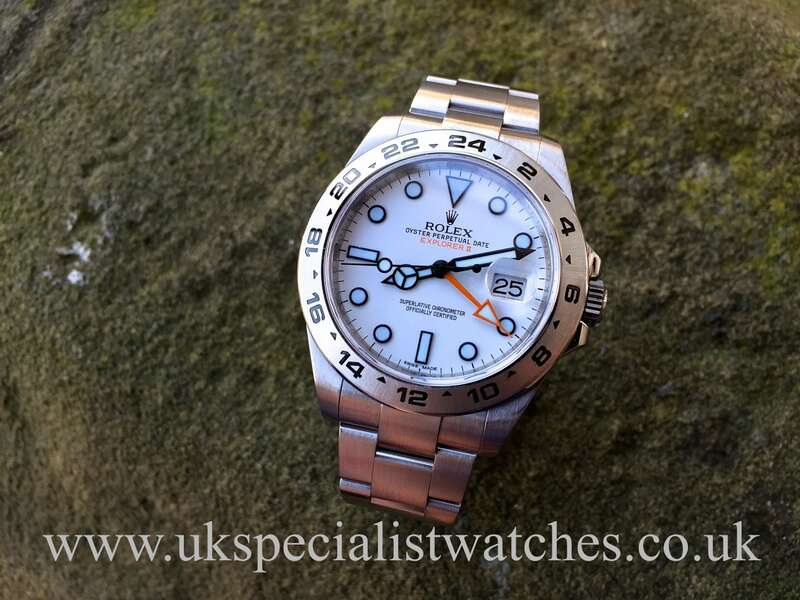 The arrow shaped orange hand has returned as the Steve McQueen Explorer II had back in 1971. 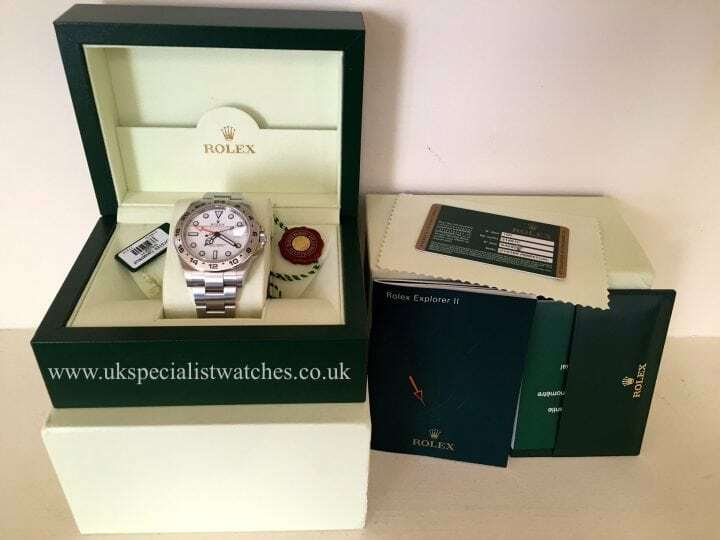 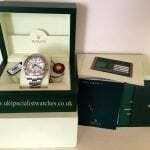 Water resistant to 100 mts, comes complete with all box booklets new style warranty card, both swing tags, black dial instock.